The world’s smallest commercial quality exercise bike! Features include: simple adjustable tension as well as multiple computer programs, portable wheel system,adjustable seat, adjustable pedal straps, heart rate control capability, contact heart rate sensors, computer readout of heartrate, speed, time, distance & calories. This bike is designed for early age elementary children (K-3rd grade). 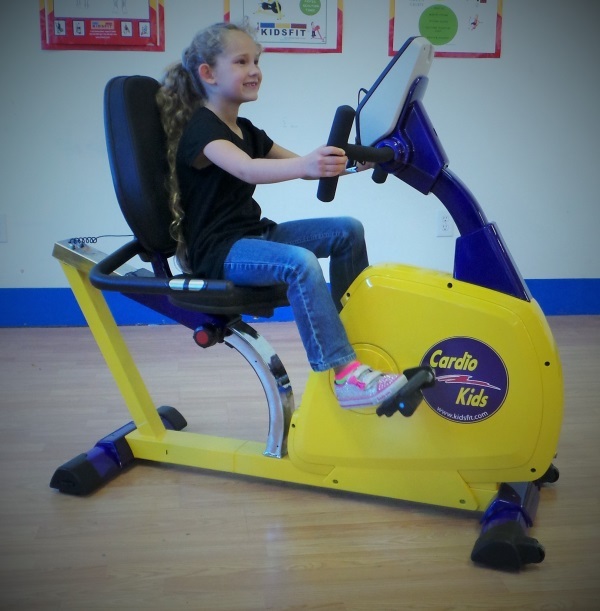 The SS101 is used by schools, YMCAʼs, pediatric physical therapists for rehab and fitness work with very small children. Call 1-800-875-9145 or go to our Chat line to speak with one of our fitness advisors. Our advisors are available to answer any questions you may have and help you set-up a KidsFit program for your facility. 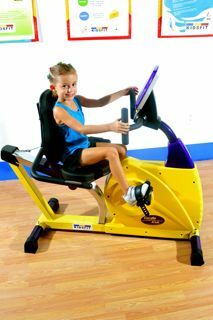 Order your Kidsfit SS101 Super Small Fully Recumbent Bike from FitnessZone.com today!